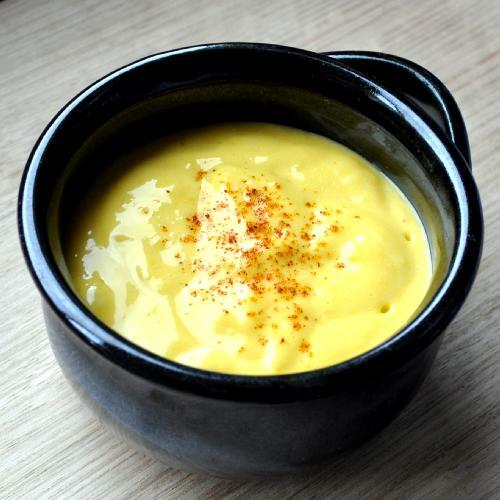 Aioli, a garlic mayonnaise that features in many traditional Provencal recipes but that also makes a delicious dip when served with a selection of raw or lightly cooked vegetables. 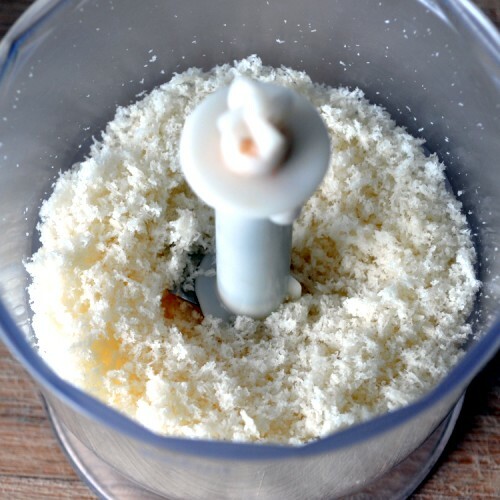 Make the breadcrumbs by placing a piece of day old bread into a canister blender until you achieve the correct consistency. Next, using a mortar and pestle, work the garlic, salt and breadcrumbs together until they form a smooth paste. 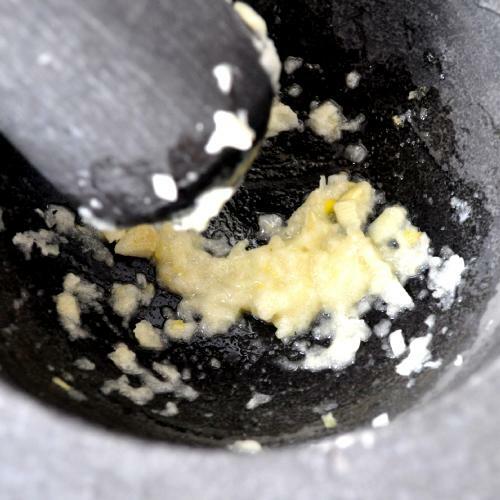 Transfer the garlic paste to a glass bowl. 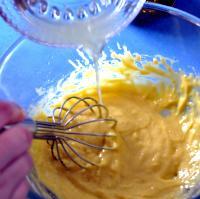 Add the egg yolks and whisk until well combined. Then slowly pour in the olive oil while whisking continually until a thick mayonnaise forms. 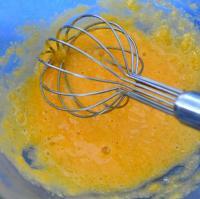 Add 1 tablespoon of lemon juice and stir before adding cayenne pepper and mixing thoroughly. Place the aioli in a bowl, cover and chill until ready to serve. 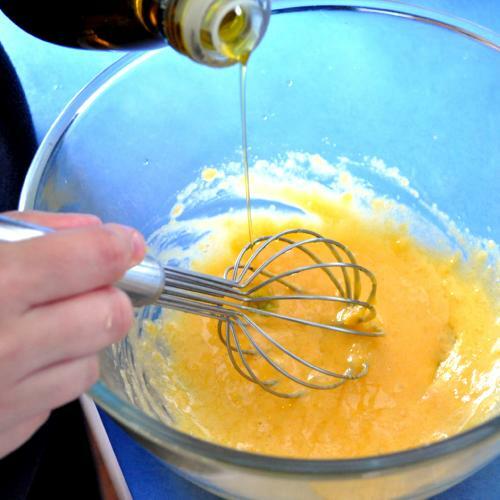 Note: There is a lot of scope for flexibility in this recipe. Depending on your personal taste you can choose to add more or less of the Garlic, Salt, Cayenne Pepper or Lemmon juice and still come out with consistently good results.